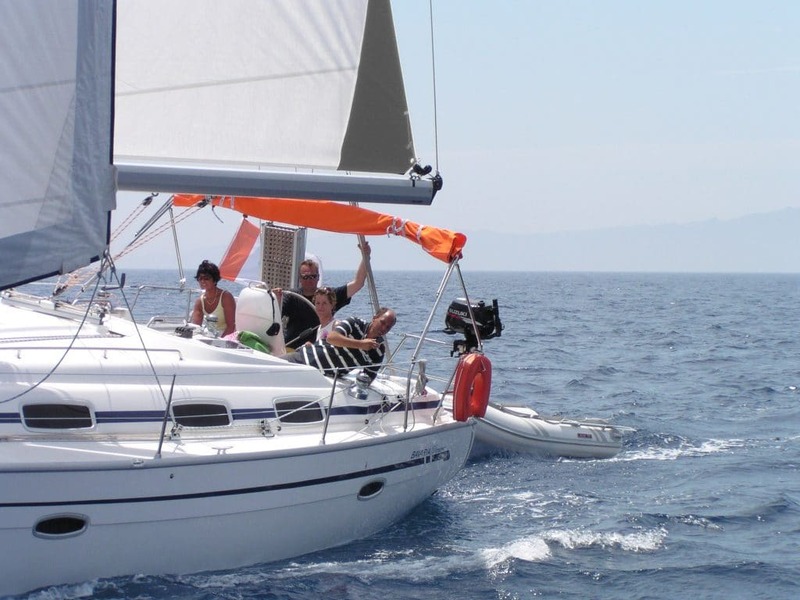 Sailing in Greece: what to expect? 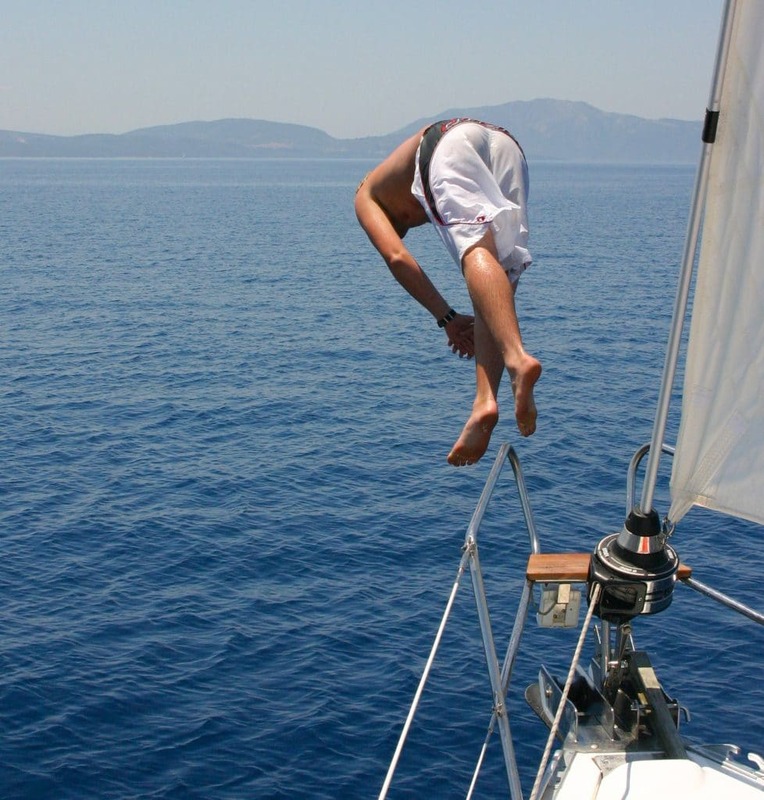 Sailing in Greece: what do you take with you and what can you expect? Sailing in Greece might be very different from sailing in your country and because it is so different we want to give you some practical tips. We will discuss the sailing license and the sailing experience, the day of arrival per location and matters that you can take with you, taking into account the inventory of our yachts and the weather! Do you wonder whether it is also fun to come with your family with small children? Of course it is! Please don’t bring suitcases. Bags are preferred because they are easy to store. Besides swimwear and summerwear we advise to bring at least 1 long pants and a sweater for every season. In July and August you will hardly need them. In all seasons there is a slight chance of rain, so it’s wise to bring a sailing jacket. For all seasons applies: sunblock with a higher factor and good sunglasses. Shoes with stiff light sole (preferably boat shoes) are always the most pleasant and safe on board. If you have booked you will receive an email with practical information about 2 weeks before departure to Greece to be informed as well as possible. Please note that you have to pay for the ordered options on the spot in cash. You can, of course, withdraw money at further locations. But it is certainly always handy to bring some cash. Often you will not sail out on the first day but on the second day. With an early flight you will often skip a night. By experience that past shows that some of the people like to get a little sleep when they hop aboard. With some flights of course arrive late in the evening. If you arrive early, have checked in, received the boat documents and are sailing bareboat you can sail off on the same day. Keep in mind that, especially during busy weekends, 17:00 will be the last available moment to check-in to avoid disappointment. On these busy days we have a lot to do, especially with the boats. Of course we will contact you when your boat is ready for boarding. If you are sailing in a flotilla: the first briefing will take place the next day at 09:30 due to the various arrival times of the flights. Often the whole flotilla will be complete at that time. The last sailing day is the penultimate day of the period because a number of flights often leave early the next day. If you have a late flight, you can, for example, explore the island the next day. In all cases it means that you have to be disembarked on Saturday morning at 09:00. Unfortunately … it’s almost time to go back home.